Senator McCain's approach to the credit crisis was today described by the LA Times as “dubious”. In Santa Ana, Orange County (home of Countrywide Financial and New Century Financial, failed leaders of the subprime fiasco), McCain called for minimal federal interference in financial markets and instead for (1) voluntary measures by banks to assist borrowers having trouble keeping up with payments and (2) a summit to discuss discouraging banks from writing down the value of distressed housing. The first proposal is already happening; the second is a shocker. Is McCain really serious about interfering with the markdown of bank real estate assets? The Japanese prolonged their recession by many years trying that trick. Meanwhile, in Philadelphia and New York, Senators Clinton and Obama have advocated providing federal assistance to troubled mortgage holders and their communities, with Sen. Clinton's proposal the more aggressive. The two Democratic candidates question why federal aid has been used to preserve assets of wealthy investors in Bear Stearns while denying homeowners in foreclosure equivalent relief. Of the three main presidential candidates, Sen. Hillary Clinton is the most interventionist, both with regard to the Fed bailout of Bear Stearns (Sen. Obama has questions about it) and the desirability of further help to homeowners in default. 1. Assembling Data on What Exactly Happened in the Bear Stearns Crisis and Bailout. As reported by Bloomberg yesterday, Senate Banking Committee Chairman Christopher Dodd has asked Fed Chairman Ben Bernanke, Bear Stearns CEO Alan Schwartz, JPMorgan CEO Jamie Dimon, SEC Chairman Christopher Cox and Treasury Secretary Hank Paulson to testify on the Bears Stearns bailout at hearings on April 3. In a separate action, the Senate Finance Committee has requested information about the Bear Stearns acquisition to JP Morgan Chase. Finance Committee Chairman Max Baucus , D-Mont., and ranking minority member Charles E. Grassley R-Iowa sent letters asking about federal assets involved and names of the negotiators, lawyers and accountants. 2. Preparing to Overhaul the Financial Regulatory System. Sen Chuck Schumer (D-NY) has outlined this imperative in an op-ed in today’s Wall Street Journal. Sen. Schumer is darn right – the overhaul is long overdue. The non-bank financial institutions have become a de facto part of the financial system that is being protected by the Federal Government. The scope of the orderly markets objective that led to the creation of the Federal Reserve in 1913 must be correspondingly expanded to include investment banks. We don't want a financial system in which institutions can take on risk with a “heads we win, tails you lose” option. A unified federal oversight body with broad institutional coverage is needed to monitor market-wide leverage and risk. A market-oriented approach could charge players premiums for the extra risk they bring to the marketplace via higher leverage. A regulatory approach could control leverage via Basle II-type capital-adequacy requirements as are being planned for banks. 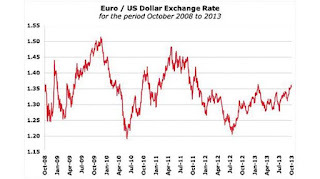 Faith in the Euro peaked at the end of 2009.
narrowing around €1.30 to the dollar. "1. Do you think the euro will become the worldwide dominant currency? 2. Say hypothetically if that would happen, what do you think would happen to the world economy? 3. And how would it affect the U.S. dollar? If you could give me your personal opinion on these questions, it would be a great." 1. Might Happen, If... It might take 15 years and it would depend on the UK joining the European Monetary Union and the United States continuing to run big current-account deficits. A contributing factor could be that the petroleum states buy mostly in euros. Also, in 15 years the Chinese renminbi and Indian rupee will be more important as trading and reserve currencies. 2. The City of London Would Gain on Wall Street. The pound sterling used to be the world's dominant currency 100 years ago. I don't think that it matters as much for the aggregate world economy whether the dollar or the euro is dominant, but it will matter a lot to the United States and New York City. It would actually be a good sign if the UK joins the EMU because it will mean that the world economy is working well, and specifically the EU is working. The European economy with the UK will be larger than the U.S. economy. On the other hand, the speed with which the euro takes over might be a result more than anything else from many years of excessive borrowing by the United States–both budget deficits (most money we owe to ourselves) and current-account deficits (scarier money we owe to other countries). If the euro strengthens, it would be possible to speculate more easily against the dollar and it would be harder for the United States to borrow abroad to finance current-account deficits. 3. A Stronger Euro Means a Weaker Dollar. Economic theory tells us that as the dollar gets weaker, our exports should be cheaper for overseas buyers and our exports should increase. Foreign imports should become more expensive and Americans should cut back on buying them. So supply-and-demand forces are supposed to reduce our trade and current-account deficits. However, these forces are taking a long time to have the predicted effects. One reason is that wage disparities are so great internationally that it takes a lot of adjustment to get within the range where the expected consequences occur. The United States is exporting higher wages and is importing lower wages. Eventually real wages will fall enough here and rise enough elsewhere that we will be competitive. But don't hold your breath waiting for this to happen. Let me know if I have answered your questions. 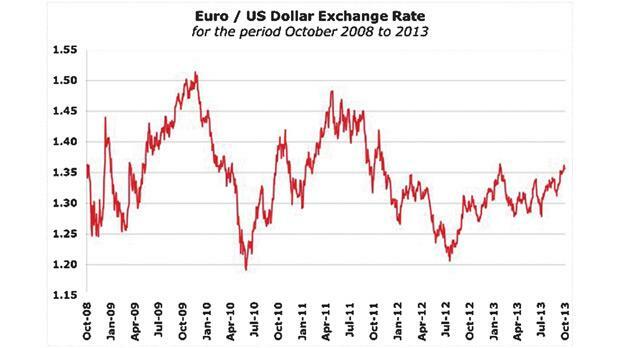 It doesn't look as if the euro is going to replace the dollar yet! The UK is voting on whether to leave the limited partnership it has with the European Union. The idea that a properly functioning monetary union can exist in the absence of full political union is being challenged by the actions of debt-heavy countries like Greece, Spain and Italy. Independent monetary policies are incompatible with a monetary union if that means the sharing of a common currency. Bank Regs - added to Chapter 15 of biography of Will Woodin. The NY Software Industry Association (NYSIA) incubator at 55 Broad Street was an asset to the software community. It was beautiful space in an important building in the heart of the Wall Street area. NYSIA’s President, Bruce Bernstein, put his heart and soul into making it work. It opened on May 1, 2005, when the first “incubated” company moved in. It is now closed. The purpose of a business incubator is to nurture companies. Success can be measured qualitatively by the experience of companies in the incubator and it can also be measured quantitatively by what happens to the companies that move in. I moved to the NYSIA incubator immediately after retiring from the NYC Comptroller’s Office, following 13.3 years as Chief Economist and Senior Policy Adviser. In February 2006 I created CityEconomist.com as a website initiatives to support my teaching, writing and consulting. My experience at the NYSIA incubator was good. I had an instant office in the heart of the Wall Street area, fully wired and at a low cost. I jointly organized some meetings on job trends in NYC. Other meetings occurred frequently in the NYSIA common space, allowing me to meet many interesting entrepreneurs with whom I have continuing relationships I was able to place some students from my classes at NYU Stern School and Pace University with incubated companies. One student I placed was described by his employer as the best worker he ever had. I reluctantly gave up my space in the incubator partly to pay more attention to my mother and uncle, who were both sick and died within a week of each other in November 2006. It took more than a year to empty and sell their two houses and I expect to be working on their papers for the rest of my life. Objective Evidence: 81 Jobs CreatedThe NYSIA incubator in 2007 housed 11 companies, seven of them startups. One was the New York headquarters of an overseas high-tech firm. Two were companies developing new products or services. The remaining company has 40-50 people in another country where it was formerly headquartered and moved to the incubator to spin out a new company. Seven companies and organizations were at one time incubator residents. Besides the successful graduating companies cited above, four companies were small consulting firms and an overseas university had a local in the incubator. All together, the companies in residence in September 2007 created 63 jobs. 1. Startup: Healthcare IT, joined incubator 3/07, created 3 jobs. 2. US hq of overseas startup: Wi-fi networking hardware, 9/05, 7 jobs. 3. Startup: Government IT, 5/06, 4 job. 4. Startup: Online video sharing and editing, 10/05, 28 jobs. 5. New product development: Healthcare IT, 10/05, 5 jobs. 6. Startup: Data mining, 2/06, 2 jobs. 7. Startup: Software development tools, 7/05, 2 jobs. 8. Startup: Management consulting, 5/05 , 1 job. 9. New product development: Software for data center management, 5/05, 6 jobs. 10. Spinoff from overseas co., specialized community sites and social software, 5/07, 2 jobs. 11. Spinoff from state university, educational software, 8/05, 3 jobs. Two companies graduated from the incubator and continue to function and grow elsewhere in NYC. They created 18 jobs. 1. Startup: Healthcare IT, 6/05 – 2/07, 3 jobs. 2. Startup: Financial Services IT, 5/05 –10/06, 15 jobs. Five companies in the incubator raised $21 million. 1. Angel funds (pre-VC), $0.5 mil., working on 2nd round. 2. Angel funds, $1.5 million. 3. Venture capital, $13 million, 3 rounds. 4. Federal ATP R&D, $2 million, closed. 5. Venture, $3-$5 million, funded in residence. Assessment, LessonsNYSIA’s incubator provided a real service. It was unusual in being connected with a trade association. NYSIA provided marketing services to its members and informal links with NYSIA members were important. Its demise is therefore sad, in a category with the demise of NYU’s old engineering school. NYU’s merger with Brooklyn Poly gives hope that history can be remedied if not rerun. 1. An incubator requires a commitment for several years. Multi-year funding is crucial. 2. State and city funding that must be appropriated every year is unreliable. The demands on political leaders are multiple and resources are limited. 3. NYSIA suffered from the lack of a university connection, which would have provided student and professorial help without special budget lines and would have ensured more staying power. It’s a pity that NYSIA and Pace University could not have found a way to work together since Pace was committed to the incubator concept and might have found the software industry trade association connection helpful. NYSIA would certainly have benefited from a closer connection with a university. In the end, perhaps the benefit of being in the Wall Street area wasn't worth the loss of a supportive university environment. BANK CRISIS 2008 | After Bear Stearns Do We Need Brady Bonds? March 18, 2008–The Fed's intervention in the Bear Stearns distress was presaged on November 8, 2007 when bank announcements of billion-dollar writeoffs were being announced with an air of finality while analysts like Bob Janjuah of the Royal Bank of Scotland were saying that the losses would soar to $250-$500 billion. That November day, Chairman Bernanke told Congress to expect "temporary" slower growth and higher inflation. How long is temporary? The overnight 97.5 percent cut in Bear Stearns's valuation (from $80/share book to $2/share sale price) may hasten whatever markdowns and recapitalizations are still needed in other financial institutions. Brady Bonds could help unfreeze the credit markets. More: 3/18/08, Huffington Post, The Bankers Panic of 2008.
CREDIT CARDS | Fast-Food Finance? March 10, 2008–Addiction is socially taboo but creates a reliable revenue stream. A fund that invests only in companies that profit from addictions (alcohol, cigarettes, gambling and arms manufacture) has outperformed the market so far by four to one. 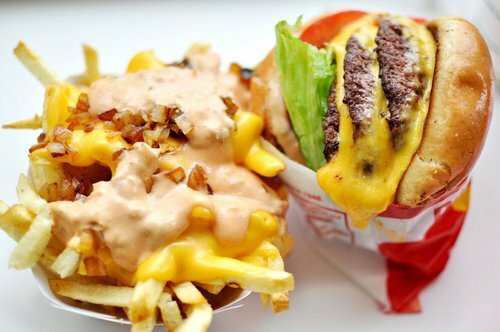 Fast-food companies have come under a cloud as critics charge that their products are addictive because of their high sugar, salt and fat content, not to mention scientifically perfected artificial tastes. An "epidemic" of obesity shown by comparisons between 1980 and 2004–a doubling of obesity rates among adults and tripling among children–has been linked to the growth of fast-food merchants. Now AdAge today has an article Lenders Labeled New Marketing Villains that describes credit-card debt as the new obesity. Just as fast-food outlets sell junk food, banks promoting credit cards are being viewed as pushing Americans into high credit balances, then imposing penalty interest rates and fees on their addicted borrowers. The shoe seems to fit. Like many addictions, consumer debt is a codependency because banks have become addicted to the easy revenue just as much as consumers are addicted to the cards. Now that the mortgage market is falling on hard times, some worry that banks are seeking to recoup their mortgage losses by hiking fees and rates for consumer debt. All of which creates sentiments among the public that support a Credit Cardholders Bill of Rights.